In its inaugural year, the Colorado OER Grant Program is awarding funds to several institutions in two different tiers: individual and small group; and faculty- and institutional-level grants. Funded proposals include a system wide inter-campus collaboration and faculty content design in disciplines with high enrollment and expensive textbook costs, ranging from STEM and art history to English language and writing courses. View the list of awards. With $1 million slated for next year’s grant cycle, Colorado’s OER Council is eager to support more projects that will lower costs and improve student success—two goals outlined in CDHE’s statewide plan for higher education, Colorado Rises. 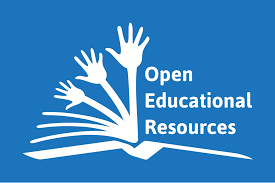 Get Involved: In conjunction with CDHE, the OER Council will host events and other professional development opportunities to learn more about the open education movement in Colorado. During Open Education Week 2019, March 4-8, CDHE will partner with campuses to put on interactive webinars, panels and more. Campuses are encouraged to host associated events and contact OER@dhe.state.co.us for potential collaboration. In May, CDHE will host the first-ever Statewide OER Conference at the Colorado Community College System, Lowry Campus. This conference will feature national and local experts exploring topics in the open education movement at various levels. This conference will be preceded by a pre-conference training with the Open Textbook Network. About the Colorado OER Council: The Colorado OER Council is a dynamic 15-member delegation designated by the executive director of CDHE. Members include experts from various disciplines such as faculty, instructional designers, digital experts, institutional administrators, state staffers and a student representative. About the Colorado Department of Higher Education: Working with the Colorado Commission on Higher Education, we advocate, develop policies and support students to maximize higher education opportunities for all. The Department believes every Coloradan should have an education beyond high school to pursue their dreams and improve our communities. Read the CDHE master plan Colorado Rises.